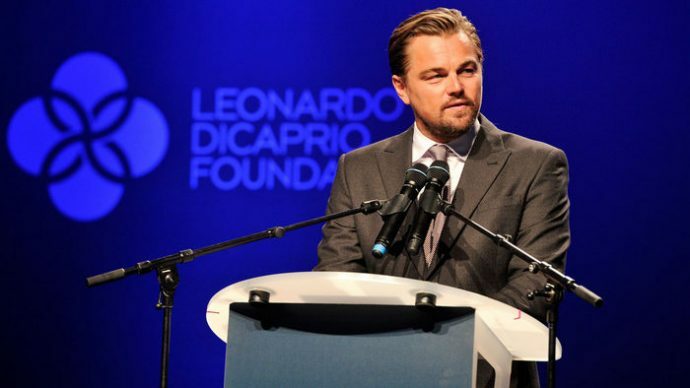 Oscar-winning actor Leonardo DiCaprio joined several other A-list celebrities, including Paris Hilton, at the 1 OAK Maldives beach festival at Finolhu Maldives. A day after Leo’s charity Gala in St Tropez on July 25, he flew to the Maldives along with 1 OAK owner Richie Akiva, Paris Hilton and her boyfriend Chris Zylka, Tobet Maguire, and Luke Haas. 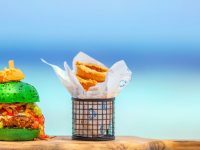 The Summer Lovin’ beach festival began on July 28 and went on for three days, transforming Finolhu to 1 OAK Island, the ultimate tropical oasis of world-class entertainment featuring daily events, A-list performances, oceanside dinners and unique activations. The festival saw performances by Kate March, founder of the passionate all-female creative collective from New York I AM, world famous DJs Jaffa and Simon, and entertainment group Fun Light. Guests were also treated to surprise celebrity appearances, including one by Paris Hilton, who joined the DJing lineup for the weekend along with Guy Gerber and DJ Kassidy. 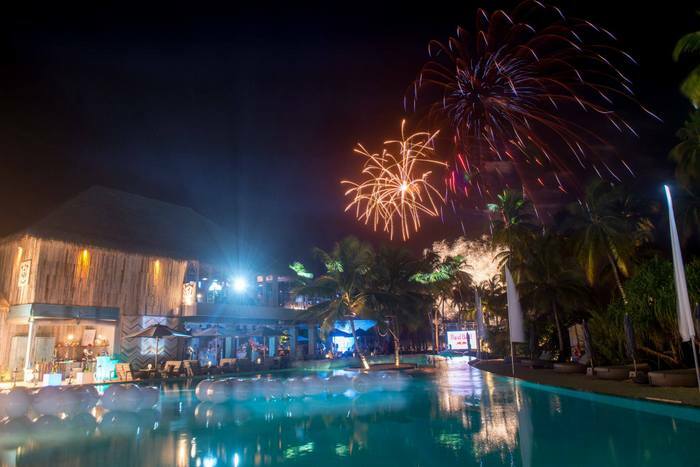 The beach festival celebrated the launch of 1 OAK Maldives and the one-year anniversary of Finolhu. Bringing a timeless sense of style to the pristine lagoons and rich waters of the Maldives’ Baa atoll, Finolhu, which opened in June 2016, is a refined, retro-inspired island paradise for the fun-loving beach-erati, and an unexpected revival of the halcyon days of the classic chic getaway. With its retro-themed Maldives island concept, Finolhu, run by The Small Maldives Island Co., caters to guests seeking fun and adventure on a party atmosphere. 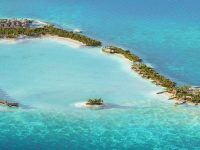 The Small Maldives Island Co. partnered with New York hospitality group Butter Group last year to launch 1 OAK Finolhu Blhu beach club in Finolhu and 1 OAK Lounge at its second property Amilla Fushi. Since then, both the resorts have seen fun-filled entertainment events hosted by international performers. 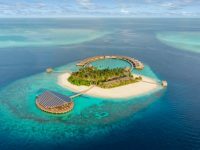 As an environmental activist, Leo is no stranger to the Maldives, the lowest-lying country in the world. He has worked with former Maldives president and fellow environmental activist Mohamed Nasheed on the jury of the Zayed Future Energy Prize, which recognises innovation, leadership, long-term vision and impact in renewable energy and sustainability. 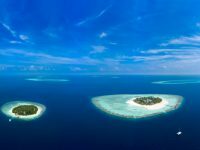 The likes of English singer and television presenter Rochelle Humes and her husband Marvin, and British TV personality Billie Faiers have all declared the Maldives as their favourite part of the world for a relaxing getaway. Another British singer Perrie Edwards, English actress Millie Mackintosh and the Beckhams have also fell in love with the white sands and the blue skies of the Maldives. 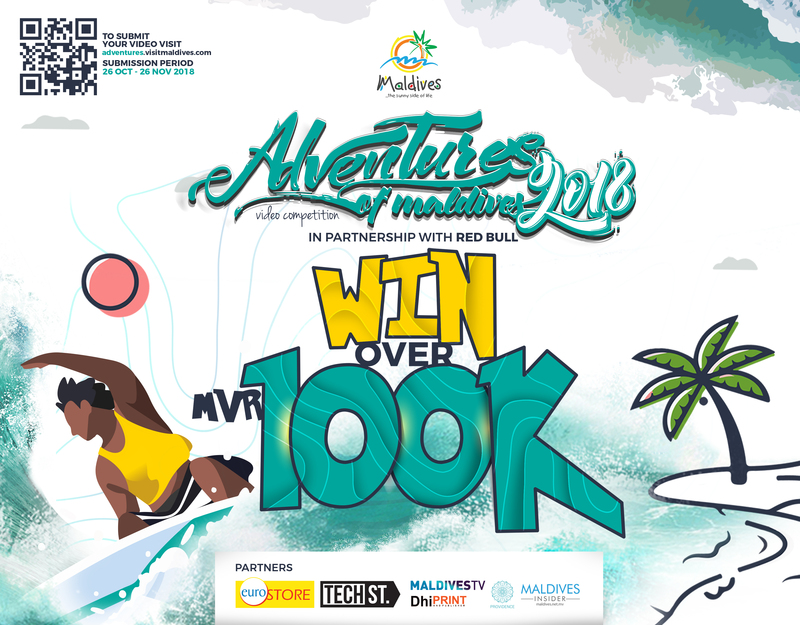 Hollywood and Bollywood personalities such as Salman Khan, Hrithik Roshan, Alia Bhatt and Priyanka Chopra as well as world-renowned music artists have declared their love for the Maldives. 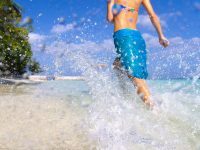 Sports personalities, including the likes of David Beckham, Carlos Tevez, Arjen Robben, Miroslav Klose, Franz Beckenbauer and Marcel Desailly have also spent their hard-earned vacations in this tropical paradise. TagsCelebritycelebrity newsFinolhuLeonardo DiCaprioSmall Maldives Island CoThe Small Maldive Island Co.The Small Maldives Island Co.